You sell turnkey surface treatment solutions. 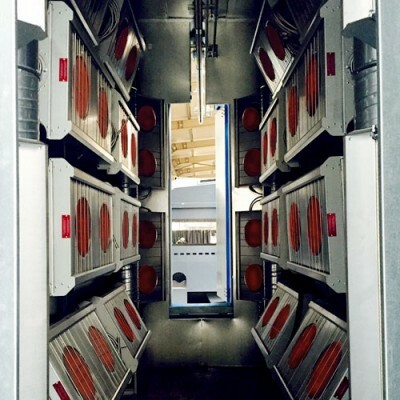 Your customers are demanding and you need innovative infrared drying technologies. We offer you the opportunity to include them in your offers so as to widen your product range. ou are looking for infrared drying expertise, a partner that you can trust for? You need a highly reliable solution so as not to take any risks with your brand’s image. Excellent support when you need it. Technological training for the integration of your products. Examples of product files with drying time and productivity increases.